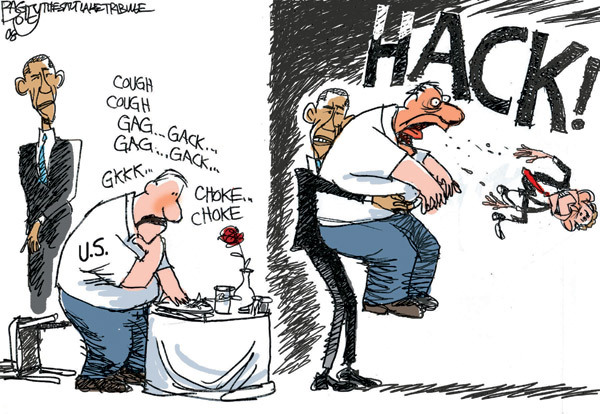 “Bush Gag” cartoon, Pat Bagley, Salt Lake Tribune, November 5, 2008. (http://dailykos.com). Qualifies as fair use under copyright laws — low resolution picture. I’m someone who’s in a state of constant learning, constantly wanting to challenge myself and others to be better, to do more and better. I don’t apologize for this. But I do need to acknowledge that too often, I exert so much pressure on myself to excel that I take on a Thanksgiving feast’s worth of challenges. More times than not, I come through on the other side, but frequently in need of the Heimlich maneuver to keep from suffocating on it all. For those of you who are still in undergrad or have recently finished, or at least, still remember clearly the details of this part of your academic journey, this story is most poignant for you. After years of relying mostly on my great memory and very good writing skills to be the very good student I’d been over the previous decade, I wanted to do better, to not have to scramble in the last three weeks of a sixteen-week semester and look like a dog with a serious constipation problem trying to void, like almost two-thirds of the sickly, underdressed, raccoon-eyed students I’d seen on campus during my first two years at the University of Pittsburgh. I reasoned that I needed to have balance to my semesters so that I wouldn’t spend the last two or three weeks of them playing catch up. Starting with the fall of ’89, I took all my syllabi from all of my classes, grabbed a calendar, and crafted a table where I knew exactly what to read, when to study, and when to begin my research and writing projects for each class I had in a semester. That way, I could know when to slack off or party, when to buckle down and study, and when to just shift into academic cruise control. 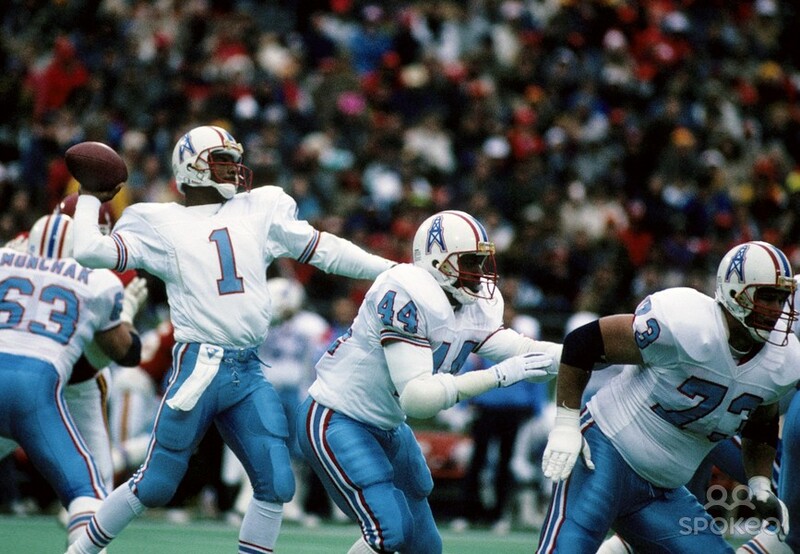 Hall-of-Fame QB Warren Moon with Houston Oilers, throwing from within pocket on his 527-yd passing day against the Kansas City Chiefs, December 16, 1990. (http://spokeo.com). Those were literally my words and thoughts from a quarter-century ago. I also decided to become more organized because, thinking back, I knew that I couldn’t be a scrambling student in grad school. At least one who could be consistent and successful, who could sit and step up in the pocket and deliver academic darts for touchdowns — to use one of the many football analogies I would’ve said in ’89 (and probably now, too). All I knew was that after the spring semester — with thirty-six-hour workweeks and five courses — that I wanted more time to hang out with friends, to even maybe date. Only, I was dumb enough to take third-semester calculus a year and a half after my last math course, and I was now a history major taking writing intensive courses. But at the time, I had my very good reasons. I was only one course shy of a minor in mathematics, which I figured would look good on my academic resume when I did apply to grad schools. I wanted to learn the basics about differential equations, because I was just that kind of guy. I wanted, most of all, to challenge myself, because that part of my Humanities indoctrination had stayed with me well beyond my high school graduation. That course was a struggle, mostly because my attention was split between writing papers and reading thick history texts, constitutional law books and African American literature on the one hand, and math equations on the other. Fourteen months away from derivates and integrals and volumes was too long for me. I couldn’t really adjust to being in a lecture hall with nearly 400 students, being in memorization mode, no longer with much in common with this huge group of STEM-inclined classmates. By the middle of October, I was miserable whenever it was time to march up that hill to Benedum Hall. A simple first-order linear differential equation (nothing “simple” about it), December 2, 2014. (http://revisionworld.com/). But it did get worse. About a month before the end of that semester, my friend Terri looped me into unwittingly setting up my friend Marc with our mutual friend Michele. And it worked! All too well, as I realized that I had a bit of a crush on Michele myself, but only after they’d started dating. It was a rocky last three weeks of ’89. I managed a 2.98 GPA that terrible semester, including a D+ in multiple integrals and differential equations. I missed a C- in that class by two-tenths of a point. Terrible by my own standards. Lessons here, if any? Don’t bite off more than you can chew, maybe? I know that three admissions committees used that D+ against me in either rejecting me outright or in not offering me fellowship money to cover tuition when I applied to grad schools a year later. So, one other lesson could be to not take unnecessary risks, to not challenge myself. That would be the wrong lesson, though. The real lesson would be to know our limitations, that we can’t be all things to ourselves and others and do well at all things all the time, that we have a finite amount of time and choices, in school and in life. With so much going on in my life these days, it’s still a lesson of which I have to keep reminding myself, practically every single day. 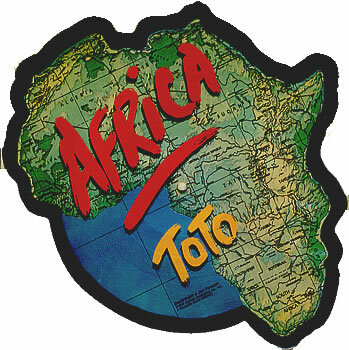 Toto’s “Africa” (1982) Singles Sleeve, March 1, 2013. (http://eil.com). There are as many reasons my musical tastes are eclectic as there are songs that I like and love. I can’t explain it. There’s no way I can explain why I think one song sounds as unimaginative and boring as Drake’s “Started From The Bottom,” while Nickleback’s “If Today Was Your Last Day” has been one of my favorite songs over the past three and a half years. My imagination could take the corniest song and make it epic, a mantra, my theme music. Even a song like Toto’s “Africa” (’82-’83), a song that could be interpreted as reflecting White racialism as it related to Tarzan movies of a not-so-bygone era. Yet I’ve seen their video, and probably heard the song at least 3,000 times. It ain’t that deep, but it’s still a song I like. So, a bit of context. My grades in the early Reagan years — especially in ’82-’83, when I was in eighth grade — didn’t at all reflect our family’s slide into welfare poverty, my ongoing issues with my idiot stepfather, my suicidal struggles or my search for a real relationship with God. What I had to lean on, more than my amazing memory or World Book Encyclopedia, my parents or even God, was my imagination. 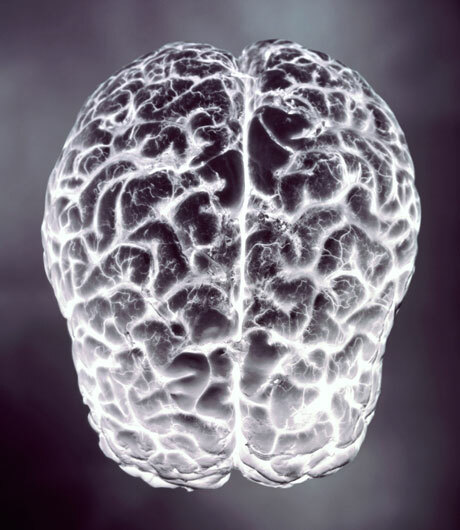 The Spark of Imagination (via x-ray), March 1, 2013. (http://esquire.com). With puberty and what would turn into a ten-inch growth spurt in a span of twenty months, I became enamored with sports. And the sport I became most interested in early on was football. The strike-shortened ’82 NFL season combined with the formation of the USFL and the coming-out party for soon-to-be draft pick Herschel Walker to get my attention. The vicious hits, the acrobatic catches, the powerful throws were things that I’d seen before. I saw them through the lens of an underdog now, a downtrodden member of an abandoned family who wanted to see folks who’d overcome impossible circumstances achieve great things. The first person who represented that for me in sports was Joe Montana, quarterback for the San Francisco 49ers. 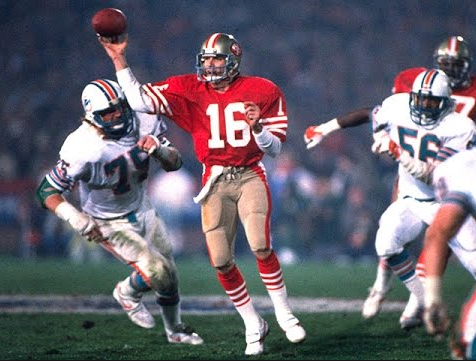 The only ending to a football game I’d ever watched was the end of the NFC Championship Game the year before, with the play known as “The Catch.” I didn’t even know who Joe Montana was, even after watching Dwight Clark go up and catch a ball that was only meant for him. He was the kind of person I wanted and needed to be in order to overcome what I thought was an impossible deficit. As far as I was concerned, I had to score about a hundred touchdowns to go from welfare to college, let alone anything after college. Yet it didn’t stop me from dreaming about rolling out right to the sidelines on fourth down, sucking in Dallas’ defense, and throwing a ball toward the right-side of end zone, toward the back line, just high enough for Clark to catch and Emerson Walls not to. It was a dream that required some theme music, and luckily for me it was ’83. Michael Jackson’s Thriller had come out at the start of eighth grade, The Police were big, Toto and Rick Springfield were at their peak, and New Edition had put out there first hit, a Jackson 5 remake. All of it gave me something more modern to move forward with, to get silly about, to “march down field” to when I needed to gear up to get an important A. I’d accidentally found a way to escape my life without ever leaving Mount Vernon. 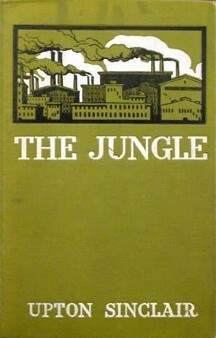 The Jungle (1906), by Upton Sinclair, 1st Edition, March 31, 2011. (GrahamHardy via Wikipedia). In public domain. Demontravel’s and Carraccio’s classes were the first two places in which I applied this approach to my life and studies. In Carraccio’s case, it was the reading and essay assignment for Upton Sinclair’s The Jungle (1906) a muckraking tale of first-generation, Eastern European, Chicago meatpackers who worked and lived in grueling conditions and where some of them gave their lives — and livers — to Swift and other companies. I’d caught a cold, had a fever, was going to the store for Mom, and had just heard Toto’s “Africa” playing at C-Town in nearby Pelham. The song served as my background music, giving me the energy and drive I needed to finish the book. I read The Jungle in one night, three hundred pages of it in four hours. I think Carraccio gave me a 95 on my essay. She pulled me aside to say, “You know, if you wanted, you could be a really good writer.” It might’ve been the only thing she said that I thought was right on the mark all year. Yeah, you could say that I was seriously music deprived, didn’t understand the cultural symbolism or archetypes in the song or video, or simply had and have bad tastes. Y’all may be right, too. But for me, Toto’s “Africa” struck the right note, lifted my imagination, and found the goofball within.